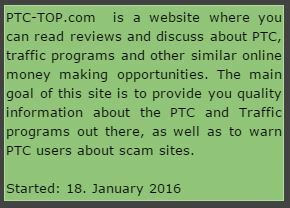 Bitrad.io is a site that allows while listening to the radio to win a crypto-currency the BRO. The BRO is only obtained in this way, which makes it impossible to create Ant-miner & others, thus allowing all users (and minors) to be on an equal footing. To get the BRO simply log on to choose a radio and listen, you will thus earn Activity Points that go every 60 minutes to be converted to BRO to be either stored on your account while waiting for you to download the wallet and parametrize Your Payout-Address, or be transferred to your address directly. You can exchange your BROs against Bitcoins on cryptodao even though I advise to wait for it to go up. 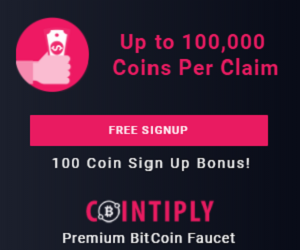 Cointiply - top PTC Website with Claim Faucet!